Dr. Sandy Goldberg, founder of A Silver Lining Foundation (ASLF), has been named a 2009 Purpose Prize fellow, an honor for social entrepreneurs over 60 who are using their experience and passion to take on society’s biggest challenges. Now in its fourth year, the six-year, $17 million program is the nation’s only large-scale investment in social innovators in the second half of life. 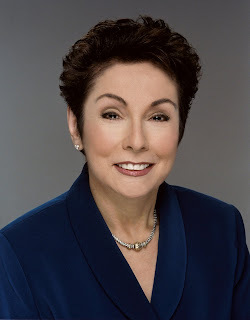 Dr. Sandy Goldberg, the founder of the Chicago-based A Silver Lining Foundation, was named a Fellow for providing cancer resource information, treatment options, quality of life services and no-cost mammograms to uninsured and underinsured individuals. The fellows underscore a trend in entrepreneurialism later in life. According to studies by the Ewing Marion Kauffman Foundation, the 55-64 age group is the most active in creating new ventures. Counter to stereotype, people ages 20-34, the study found, are the least entrepreneurial. “More than ever, the problems facing our communities, country and world call out for creative solutions,” said Marc Freedman, co-founder of The Purpose Prize and author of Encore: Finding Work That Matters in the Second Half of Life. “Fortunately, we don’t run out of ideas as we age. “Like so many others in this new stage of life between the end of midlife careers and the beginning of true old age, The Purpose Prize fellows combine creativity, experience and passion with a desire to do something bigger than themselves,” Freedman continued. The Purpose Prize supports Fellows by helping develop their capacity, linking them with funders and venture philanthropists and connecting them to other social innovators over 60. It is part of the Encore Careers campaign run by Civic Ventures, a national think tank on boomers, work and social purpose. Funding for The Purpose Prize comes from The Atlantic Philanthropies and the John Templeton Foundation. The Purpose Prize is a program of the Encore Careers campaign, which aims to engage millions of boomers in encore careers combining social impact, personal meaning and continued income in the second half of life. For more information, visit http://www.encore.org/. For more information on ASLF, visit http://www.asilverliningfoundation.org/.